In our house, we like red meat and find hamburger meat to be one of the easiest meats to create a recipe with. From hamburger patties and meatloaves to soups, stews, and casseroles. On pizza or wrapped in breads, one of these over 50 hamburger meat recipes are sure to please you and your family! Hamburger is pretty inexpensive and can be used to feed large groups of people. You just need some great ideas for cooking! You’re going to find lots of ground beef recipes to make the whole family happy. You know any recipe that includes Rotel is going to be delicious. Make this for the family and watch them get super excited. Anytime you can make ground beef ahead of time, go for it. This is an easy recipe to follow. If you haven’t tried Crockpot Sloppy Joes, then you’re in for a real treat. These are so easy and so yummy! There is nothing better than reaching into your freezer and pulling out dinner. Follow this recipe for an easy freezer meal idea. My family has always loved Stuffed Peppers. If your family loves stuffed peppers, then they’re going to love this recipe. Yes! Did you even know you can make this at home? You can! Give it a try and let us know how you like it. Another great and easy hamburger patty recipe that you can use for later. 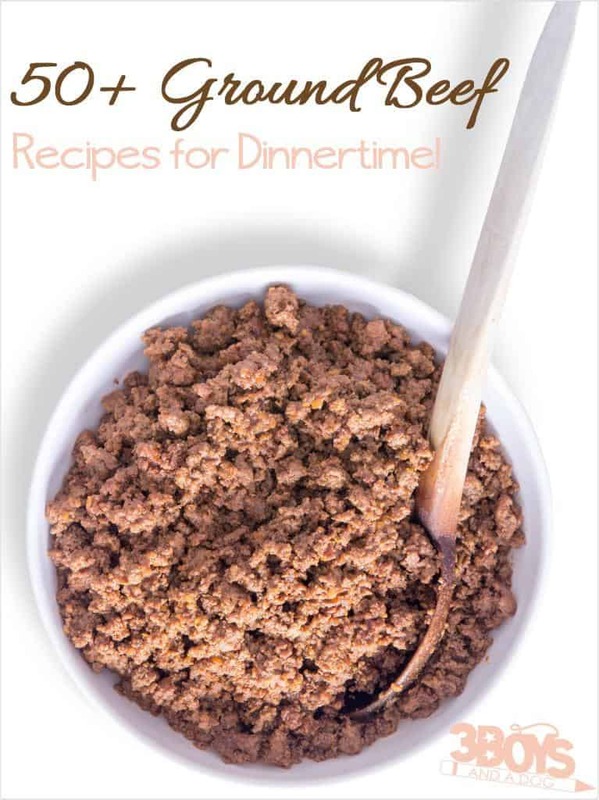 Those of you who live off of slow cooker recipes, this is one ground beef recipe that you need! Yum! A hamburger skillet dish is a great way to feed a lot of people in a short time period. Hamburger Soup is great for cold winter days when you don’t want to leave the house. Fill the tummies in your house with this awesome recipe. Ah, yes – when you don’t want to cook and you want to be cheap, you need this meal in your life. Fall is the right time to try Dinner in a Pumpkin. Hey, you can’t knock it, until you try it. If your family is up for trying new things, then you need to give this recipe a try. Easy and delicious! Soup up the stroganoff with this fun recipe! Sometimes cooking at home can be way better than eating out. Go ahead and try it out. Yum! I’m a huge fan of easy and this Best Ever Easy Hamburger Patty wins the prize for being super easy. Give this recipe a try! Casseroles are a great way to feed larges groups of people on a small budget. Yes! When you need to use up the leftovers or you need to feed the kids until payday, this recipe is for you! Yum! The whole family is going to love this beef cabbage casserole recipe! It’s to die for. Another great stuffed pepper recipe. Only this time it’s made in the form of a skillet. How delicious! Need a quick fix for dinner? How about this awesome casserole? It’s scrumptious. Using up ground beef is so easy with the help of this Ground Beef Casserole. Your kids will be begging for more. Need to fill up a lot of bellies at one time? It’s time to introduce the family to Ground Beef Casserole with Basmati Rice! Another yummy and practical casserole that you can make right at home and enjoy! Have you ever mixed the idea of lasanga and chili together? This dinner is sure to please everyone. Sauce things up a little bit with the help of this Saucy Beef Chili Recipe! Making dinner doesn’t getting easier or more delicious than this. Have some sausage to use up? Use sausage and ground beef in your chili. If you haven’t done this yet, then you’re in luck because this recipe shows you how! Let’s get back to the basics with chili! Using bean and ground beef in your chili is so simple. This recipe teaches you how to take it from plain to amazing! Calling all spicy chili lovers, this one is for you! It’s hard to not try this recipe when your mouth waters at the thought of something being spicy and delicious. Have 3 kinds of beans to make chili? Why not give this 3 Bean Chili recipe a try? Have you ever had authentic Mexican Pizza? You totally need to give this recipe a try! Another favorite in this household is Crockpot Pizza Soup! It’s easy, yummy, and it’ll quickly become a regular recipe around your house. Why make Spaghetti any other way when you can make it in the crockpot? Seriously, you need to make this! Need to make up a quick meat sauce, using ground beef? Give this recipe a twirl. Tried of the same old spaghetti recipe? Well, this recipe is for you! Have mushrooms lovers in your house? Make this recipe for them! Their mouths will water once you tell them what you’re making. Easy peasy, too! You’re going to have some very happy tummies after you make this pasta recipe using ground beef. Finally, you can get your hands on a manicotti recipe that the whole family will love! If you haven’t had goulash, then you haven’t lived. It’s such an amazing recipe! Two wonderful dishes made into one. This is one incredible way to put your ground beef or hamburger to use. Raise your hand if your family LOVES sloppy joes? We do! When soup season is here, this should be your go to soup, it’s worth making every time. Add a little spice to your dinner night with these spicy chile burgers. Sauce up your life thanks to the help of the Saucy Meatballs. Ah, adding olives to your burger is something you will never regret. Give it a try! Make things a little healthier with the help of this veggie and ground beef stir fry. Another great way to make a delicious eggplant recipe. It’s also a good way to introduce your kids to eggplant. Have your kids ever had a recipe that includes the word Mongolian in it? If not, you need to make this recipe for them! Yum! You can’t deny the deliciousness of these Ground Beef Basil Rolls! If you have yet to try taquitos, then this recipe is the one for you. It’s so simple, even the kids can help you make it. My family loves eating chimichangas at local Mexican restaurants. Now we’ve started making them at home! Who’s ready for a delicious taco recipe? This one is the bomb.com. The avocado cream sauce is amazing. If you’re eating Keto or low carb, then these ground beef lettuce wraps can help make things easier on you when dinner time rolls around. Hey, to be successful in the kitchen, you need the right tools. Here are some of my favorite cooking products! 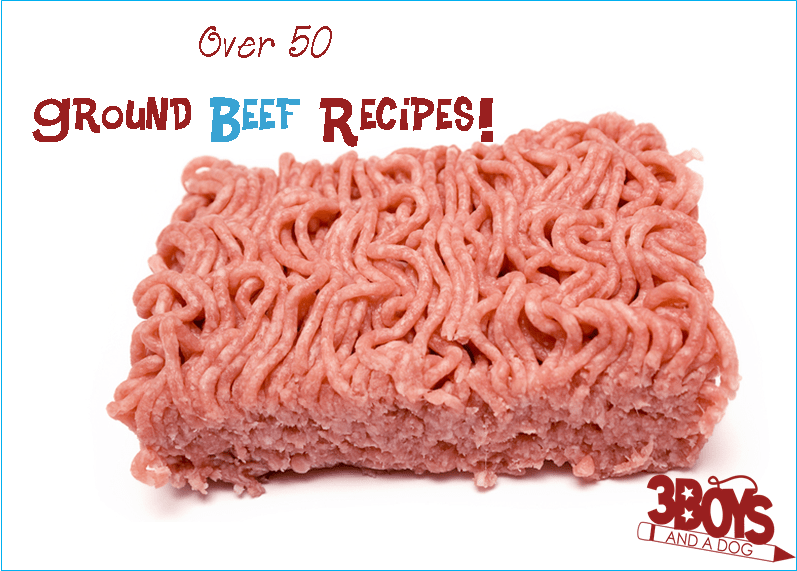 If you like this list of over 50 hamburger meat recipes, you are going to love these posts too! I would greatly appreciate as many bread and hamburger recipes as you people are willing to give me. I am a single father and I dont have a lot of ideas on things to fix for meals . I do have a bread machine ,and enjoy baking bread . So please help. What a great collection of Hamburger recipes! Hope you are having a great day and thanks so much for sharing with Full Plate Thursday. 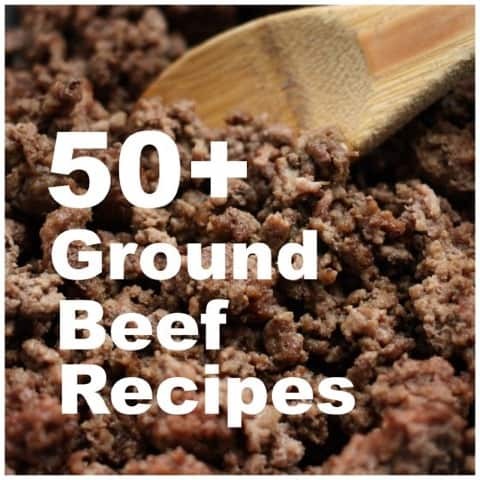 Thanks for sharing the 50 ground beef recipes. We eat a lot of ground beef…are going to have it for lunch today, actually. 🙂 These all look yummy. Congrats you were the most clicked link for Family Joy Blog Link Up Party #43. You will be featured this coming Sunday! Awe, that is awesome!! 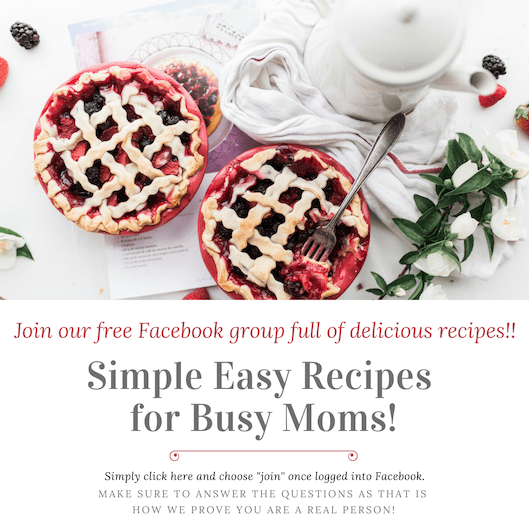 I took off from doing linky parties for a long time and my traffic took a hit, this is my first week back, so that is super awesome! Wow! That is a whole lot of recipes using hamburger! This is a really great list! Thanks for sharing. These are all yummy recipes. I will check out some of these and try it in my kitchen. I guess I am a dork because I didn’t realize there were so many different recipes for hamburger. I’m bookmarking your page to come back when I need new recipes to try which will be often, lol. I love beef. For someone looking to do low carb, they can start here and find some great ground beef recipes. Many are adaptable to the low carb lifestyle. I am alwats looking for new recipes to try. This is a great collection. I will try the Stuffed Pepper Skillet Casserole first. Whooo! This is beef overload! 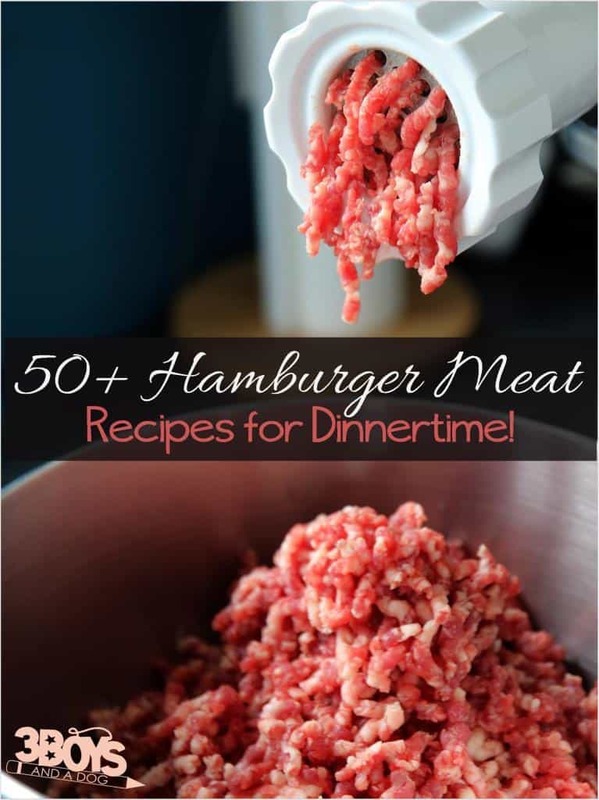 I would love to try one of these hamburger meat recipes. I’ll bookmark this. I’m more of a chicken girl myself but this is a great round up of hamburger recipes! Whoa this is a lot. If we’d have a whole year supply of ground meat, these hamburger recipes are must-tries. Because there are different tastes and textures of food paired with it, I don’t think we will ever get tired of eating beef. Love all the recipes. I need to make a good Chili soon too. Ground beef is such a versatile meat and can be used in so many dishes! This is a great list to pin for later…those nights when I need some new ideas! I love this! This is bookmarked for eternity, I can tell you that. I cook with ground beef all the time. It’s so versatile. This is a pretty amazing collection of ground beef recipes. We usually eat grass fed meat and they love it. I prefer to make it pasta style so it stretches farther. I see lots of great options here, thanks for sharing. Wowza! I don’t cook with ground beef much anymore but this list of recipes may make me rethink that. Some of these sound truly delicious. I am constantly on the lookout for ground beef recipes because you get sick of sloppy Joe’s and hamburgers. I’m totally bookmarking this page so I can check it out next time I want to make something. We go through a lot of ground beef in our house, so I will be trying some of these for sure. Awesome list. Thank you for sharing these recipes. I feel like I keep making the same ground beef recipes over and over again. Now I have some new ideas. Thank you! I came over from the link up party over on Ducks n’ a Row.